Many of us enjoy vacation “bragging rights” and happily post photos of landmarks and the meals we ate on Facebook. There are three people, however, who likely wish the news of their 2009 California vacation would go away—for good. 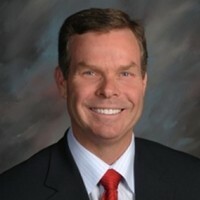 After City Weekly broke the story about a vacation taken by former Attorney General Mark Shurtleff, his then-chief fundraiser John Swallow and “corporate fix-it man” Tim Lawson at a luxury Newport Beach resort, the story was picked up by numerous local news outlets and sparked renewed calls for investigations and impeachment of Utah’s current attorney general, John Swallow. In a series of interviews at Summit County Jail and Utah State Prison in Draper, convicted white-collar criminal Marc Jenson told City Weekly that he had hired Tim Lawson—Mark Shurtleff’s friend and confidant, who earned big bucks by offering troubled business owners access to Shurtleff—to get in Shurtleff’s good graces. A hard-money lender from Holladay with a criminal record, Jenson would need the stamp of approval from people in high places so he could develop an exclusive ski resort at Elk Meadows near Beaver. Utah County political “fixer” Tim Lawson claimed to have arranged the California vacation. Lawson says he saw nothing wrong in taking Shurtleff and Swallow to the Pelican Hill resort, especially since he “paid” for the trip (although Jenson appears to have actually footed the bill as a perk he gave Lawson for his consulting services). Lawson says Jenson’s case had been adjudicated, with Jenson accepting a plea deal wherein he agreed to pay his victims $4.1 million by 2010 or else face serious jail time. While they were guests at the villa in California, Jenson says, he met personally with Shurtleff, and Shurtleff offered Jenson future “protection.” Not only did Jenson believe that Shurtleff had his back, but another in Jenson’s circle, Park City businessman Mark Robbins—a frequent guest at Pelican Hill resort—also appears to have benefited from the services of Lawson and the good will of the state’s attorney general. Mark Robbins has operated numerous companies and partnerships where he’s become known for structured investments and stock lending. Until recently, he’s had his fingers in many pies. He worked with Jenson and other investors in the complicated and ultimately unsuccessful bid to buy the Mongoose bicycle company that resulted in Jenson’s securities-fraud charges. He, along with his company Peninsula Advisors, helped broker the $100 million sale of Canyons Resort to Talisker in 2007. He also was a principal of Whitewater VII Holdings, which was planning a transit-oriented development in Draper. In late 2008, facing a debt collection lawsuit totaling over $2 million dollars, Robbins vanished from the scene; former UTA board member Terry Diehl, who would later claim bankruptcy, then took over Whitewater VII. Among those allegedly stung by Robbins was Darl McBride, the former CEO of Utah software company SCO, who claimed that Robbins borrowed several hundred thousand dollars from him while offering to arrange for long-term financing for McBride’s software company. Robbins vanished before settling up with McBride, McBride says. McBride wanted to see Robbins brought before a judge and was using both the media and the Web to launch a campaign against Robbins. In late spring 2009, Tim Lawson (mentioned in several City Weekly stories, including a Feb. 2, 2011, cover story titled “The Fix-It Man”) contacted McBride and told him to lay off Robbins, McBride says. Following that, McBride says, Shurtleff met with him and tried to end McBride’s online crusade against Robbins by offering to see if Marc Jenson could raise money to pay McBride back. City Weekly has now learned that the meeting between Shurtleff and McBride is part of an active federal investigation. Before Shurtleff arrived at Pelican Hill resort in 2009, Jenson says, Shurtleff was impressed with Jenson’s wealthy network of friends and asked Jenson to introduce him to them. At the time, Shurtleff was gearing up for his campaign race against Utah’s U.S. Sen. Bob Bennett and needed campaign donations. According to Jenson, Shurtleff and Swallow met with Jenson’s friends, including Mark Robbins, during their visit at Pelican Hill resort in California. In 2008 and early 2009, Robbins planned to develop property around a Draper FrontRunner transit station with his Whitewater Holdings VII company. But before he could put those plans in motion, on Nov. 26, 2008, 3rd District Court Judge Sandra Peuler issued a civil judgment naming Robbins as a debtor in a case where his company had accepted shares in an Australian mining company as collateral in a stock-loan agreement. Court documents say that Robbins’ company broke the loan agreement and sold the company shares without prior approval. The November 2008 judgment ordered Robbins to pay $2.3 million to his creditors. The judgment also identified dozens of companies Robbins had a hand in that were liable for paying the judgment, including Whitewater VII. According to news accounts, UTA board member Terry Diehl began working for Whitewater VII in September 2008 and became the owner by December 2008. A year later, after UTA officially selected the 12800 South site as a FrontRunner station, Diehl sold the development rights for an undisclosed sum. Around the same time, software company CEO Darl McBride also claimed to have been victimized by Robbins. He would file a debt-collection lawsuit against Robbins in March 2009 for a deal that went down in late 2008. McBride says that Robbins’ company agreed to commit to long-term capital financing. McBride says that before the financing was in place, Robbins asked McBride for several hundred thousand dollars in what was to be a short-term loan. McBride says that after he loaned money to Robbins, he found out that Robbins, a Park City resident, had left the state and was wanted on a warrant to appear in court on the civil debt-collection judgment issued in the case with the Australian mining company. The bench warrant was later vacated, and Robbins’ company, American Institutional Partners, filed a Chapter 11 bankruptcy in 2009. McBride complained to the Attorney General’s Office about Robbins but says he got the “cold shoulder,” so he decided to take his debt-collection battle online. He created the persona of the “SkyLine Cowboy” and a website listing information about Robbins and offering rewards for information about Robbins’ whereabouts so that he could serve Robbins with court papers. “It was literally like bounty hunting in the Old West,” McBride says. McBride’s unorthodox tactics quickly gained the attention of Tim Lawson who, McBride says, told him to take down his website—or else. McBride says that Lawson was able to arrange a breakfast meeting with Shurtleff in early May 2009, at Mimi’s Café in Murray. At the meeting, McBride says, Shurtleff urged him to lay off Robbins and said he’d have a better chance of getting his money back if he did. Further, McBride says, Shurtleff said he was going to see Marc Jenson in the next few days and suggested he might be able to see if Jenson would help raise $2 million to pay off McBride’s losses and provide some of the capital Robbins allegedly had committed to raise for McBride. McBride did not immediately back down from his digital bounty hunting but says he didn’t hear from Shurtleff or Lawson again after the breakfast meeting. In June 2009, he received a civil judgment on a $109,627 deal done in Robbins’ wife’s name. Thanks to his website, McBride says, he got a tip that Robbins was at Pelican Hill and was able to serve papers on Robbins’ wife there and later collect on that debt. Click below to read selections from a transcript of a July 2, 2009, creditors meeting, during which McBride was interviewed about Robbins. Or download the full transcripts: Part 1 (relevant pages 1-54 and 100-109) and Part 2 (relevant pages 55-99). McBride was shocked enough by his meeting with Shurtleff that he says he told the FBI about it. He likewise denies paying Lawson for his alleged involvement. Lawson says he called McBride not because Robbins’ was paying him but because sticking up for Robbins’ family was simply the right thing to do. Robbins stresses that his disputes with creditors were civil matters. “I’ve never been involved with any criminal proceedings in my life,” Robbins writes. Shurtleff, now a private attorney at the Washington, D.C., firm Troutman Sanders, declined to comment for this story. The attorney general is often referred to as the state’s top cop. And for McBride, Shurtleff was simply playing “good cop” in trying to get him to back off Robbins, especially after Lawson’s bad-cop routine included threats of violence. A political insider and a convicted felon host the former attorney general at a luxury resort, hoping to win him over. It could be a lead-in for a joke: A Utah attorney general, his fundraiser and a political toady travel to a posh resort in Newport Beach, Calif., where their fun-in-the-sun trip is allegedly paid for by a white-collar criminal. While it sounds like a whopper of a tale told over a martini, according to receipts and invoices given to City Weekly, two of these bizarre wingdings really did take place. 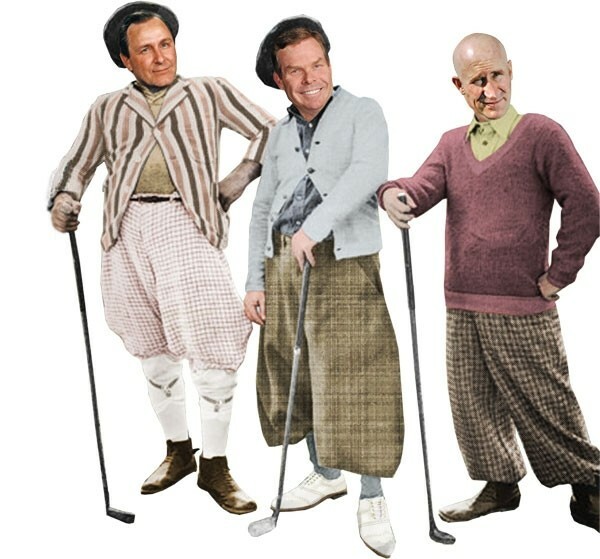 In May and June of 2009, former Attorney General Mark Shurtleff and his then-chief fundraiser (now attorney general) John Swallow enjoyed vacations at the luxurious Pelican Hill golf resort. A Utah County political operative named Tim Lawson admits that he arranged the trips. As detailed in previous stories, Lawson’s friendship with Shurtleff enabled him to build a lucrative consulting practice, wherein he arranged for business owners with regulatory troubles to have access to Utah’s attorney general. Marc Jenson is now in prison for violating the restitution terms of his 2008 plea in abeyance. Serving a possible 10-year prison sentence (of which he has now served 21 months), Jenson spoke to City Weekly because he feels he was exploited by the Attorney General’s Office. He offered copies of invoices and receipts that show the Utah men did stay at Pelican Hill as his guests. He says Lawson made numerous visits to the resort, including two trips when he brought along Shurtleff and Swallow. Swallow himself took a third trip to Pelican Hill, without Shurtleff, bringing his wife along instead. Each person recalls the junkets differently. For Tim Lawson, the trips were primarily for R&R, but it was also an opportunity to bring Shurtleff and Jenson together. Lawson insists he paid for the trips—which included several nights in an exclusive villa, golfing and dining—since the lodging and dining charges were a perk Lawson earned for his consulting work for Jenson. For Shurtleff, Lawson says, the trips were a vacation where he could work on his historical novel, Am I Not A Man? The Dred Scott Story, and relax before he pushed ahead on what turned out to be a short-lived run for U.S. Senate. John Swallow declined to comment for this story, although Lawson says Swallow was just there for a vacation. “[Swallow] could be there taking bribes or doing whatever he wants to, it doesn’t matter—he was a private citizen,” Lawson says. Marc Jenson’s problems with the Attorney General’s Office go back to 2005, when the office first filed charges against him. Jenson claims a jilted business partner helped trigger what he calls a biased investigation on a deal he’d helped orchestrate that fell apart. The deal involved acquiring loans from several lenders to help a business partner make a bid on the Wisconsin-based Mongoose bicycle company. Jenson says Lawson invited himself and his guests—Shurtleff and Swallow—back for a second visit in June 2009 when Shurtleff and Swallow stayed four or five days at Jenson’s $1,200-per-night villa. Lawson insists he covered the group’s expenses, but documents show that some expenses were charged directly to Jenson’s account, such as a $470 golf and caddy package receipt dated May 5, 2009, which named Shurtleff as the guest and was billed to Jenson’s account. Shurtleff would not respond to Jenson’s claims. “Keep in mind of who you’re talking to and what we prosecuted him for,” Shurtleff says. Swallow visited the resort a third time with his wife in July 2009. His signature appears on a June 6, 2009, receipt for $228 on Jenson’s account for a “terra-stone massage”; in July, when he brought his wife, documents show they received two massages at the resort worth $456 combined, also charged to Jenson’s account. Paul Ruffino, a former sales director of the Pelican Hill resort, remembers meeting with Lawson and Swallow. In 2011, Jenson faced a tough sentencing when he had not paid the court-ordered restitution. Jenson did attempt to offer his two victims a home in Sun Valley, Idaho, but the deal was rejected, as the home, once valued at $8 million, had become indebted and lacked equity to cover restitution. At his Nov. 4, 2011, sentencing hearing, the Attorney General’s Office showed that Jenson had spent $9 million, living a life of luxury, during the time he was supposed to be paying restitution. Jenson says he’d spent the time trying to advance the Mount Holly ski development, where he hoped to turn an old resort in Beaver into a $3.5 billion luxury resort and development. When that deal fell through, the state charged Jenson and his brother with multiple counts of securities fraud on the Mount Holly case. Lawson says Jenson is simply trying to push blame off onto others, citing his inability to pay restitution as proof of his character. High-profile corruption trial comes to astonishing end.